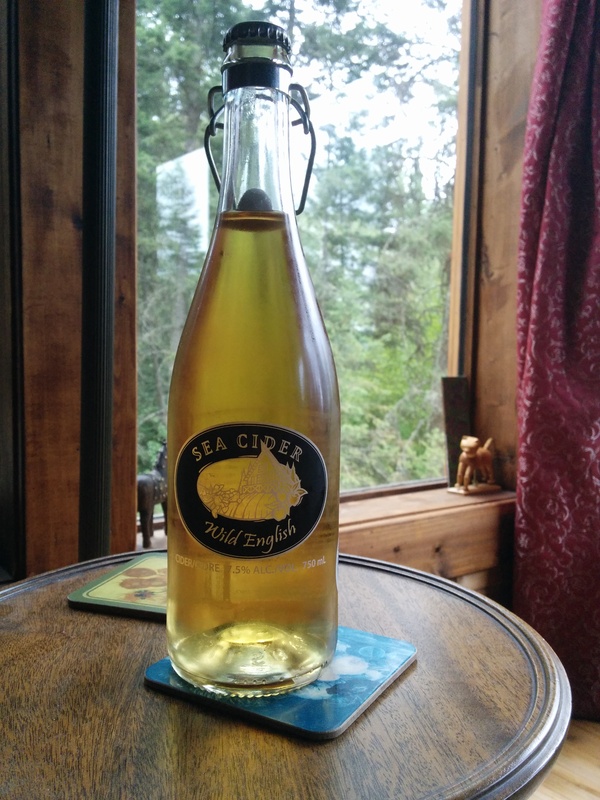 Sea Cider is a lovely cidery located on Vancouver Island, just north of Victoria towards the ferry. While I have yet to pay them a visit, it has been on my to do list for some time. Their many different varieties of ciders can be found in many liquor stores across the province, and I have had the pleasure of sampling several over the past few years. Their Wild English intrigued me enough to purchase a bottle for closer inspection. One Friday after work, picking pine cones in the seed orchard, Ian and I shared my bottle and jotted down some observations to the tune of Plants and Animals’ album Parc Avenue.